Your bridal headpiece or hair accessory should be the element that links your physical features to your wedding dress design. At Headpiece.com there are no limits to design creativity. Our headpiece designs encompass many artistic techniques that have been mastered through both education and experience. We design using handmade silk flowers, lacework, metal, fresh water pearl, Swarovski crystal, wax flowers, seashells, starfish, feathers, vintage jewelry and findings, and more. All of our designs are custom measured and fitted to you and your hairstyle. Unique pattern design is one of our many areas of expertise. Each bridal veil pattern is developed with careful consideration of shape, volume, drape, cascade, width, and end points. Our fabric selection is unmatched, designing from soft U.S. made domestic net, luxurious imported silken European net, and vintage and specialty nets. We use the finest French laces in the world including Chantilly, Alençon, Leavers, and Guipure. Our laces are made in a tiny village in France on 100 year old looms from the same lace maker Kate Middleton used for her royal wedding dress design. We don't just think about your veil and headpiece design. We think about every little detail that will make your wedding day moments last for an eternity. Our hand made ring pillows and flower girl baskets are so beautiful our brides use them for home decor after the wedding. 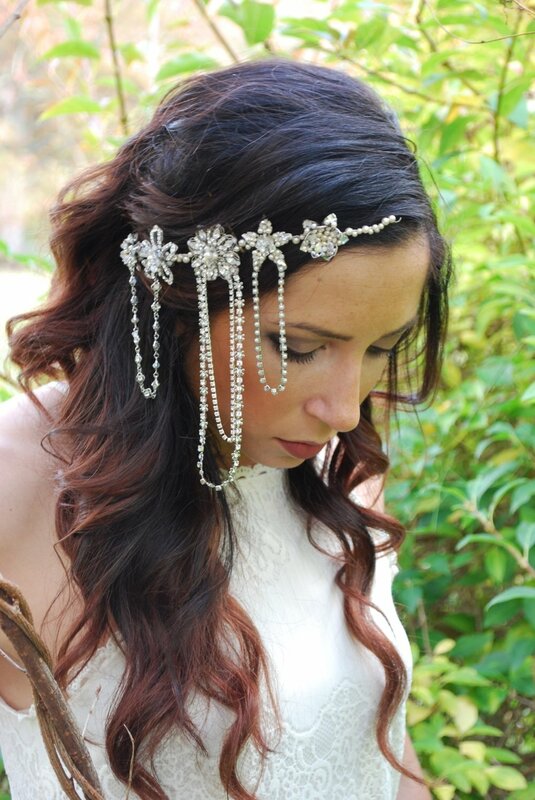 Headpiece.com's classic jewelry and hairpins can continue to be worn throughout your married life. Heirloom handkerchiefs can be saved for a special day, or make perfect dresser doilies or baby bonnets.